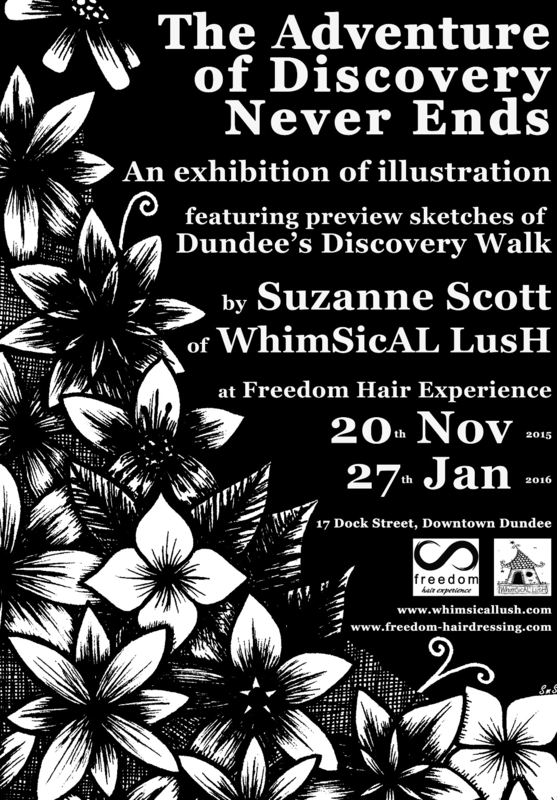 Come along to the Freedom Hair Experience salon to see some of the sketches and illustrations that will be making up the bronze plaques of Dundee’s own Discovery Walk as well as some of Suzanne’s other recent work. 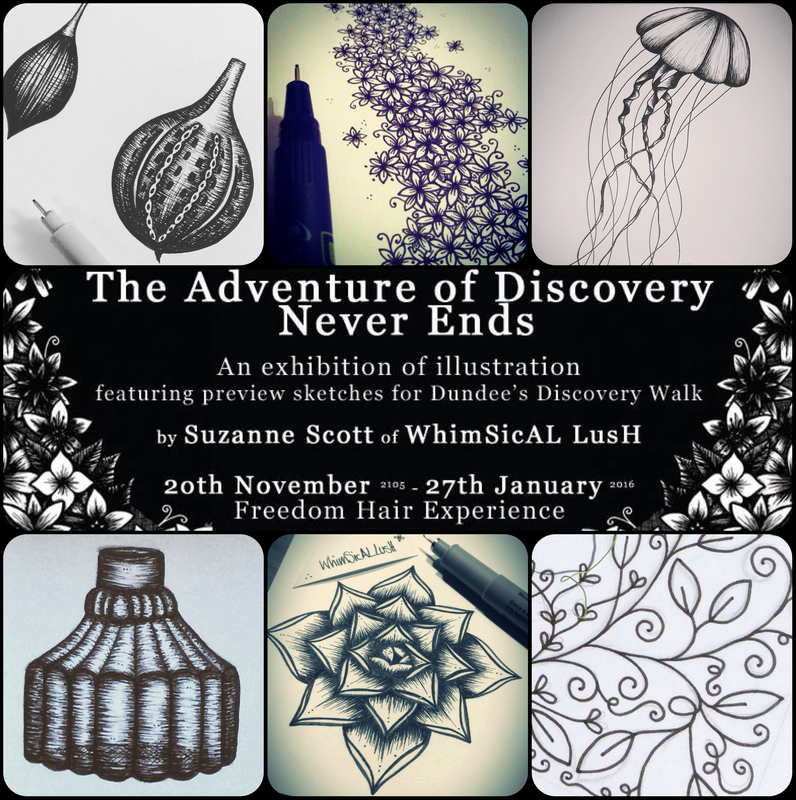 Opening Night: Friday 20th November, 7-9pm. 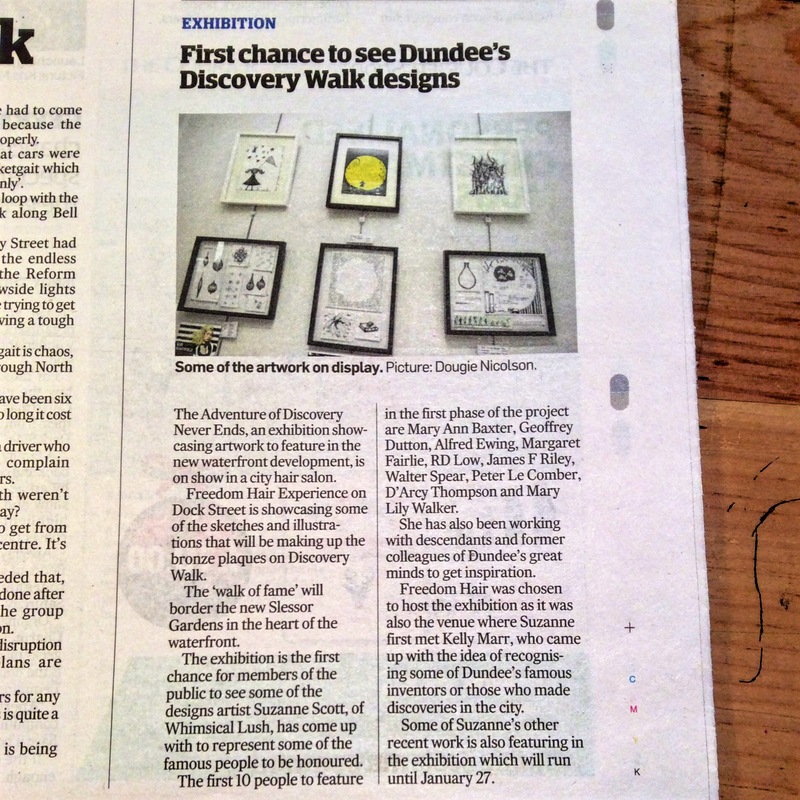 Discovery Walk, will celebrate Dundee’s contribution to science and society with specially commissioned bronze plaques. The plaques will be set into the pavement in the open space area of the newly-named Slessor Gardens at the heart of the Waterfront development. The plaques will give clues to the fascinating stories of individuals whose discoveries and inventions have made many important and exciting contributions to modern life. Discovery Walk is the brainchild of Kelly Marr, an Australian who was inspired by the Writers’ Walk around Sydney Harbour. For more information about the walk, please head over to the Discovery Walk page. Next Post It’s Snowing!! Did you see my snowflakes in Dundee?